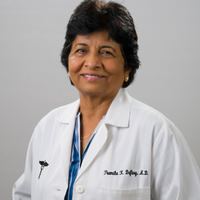 Dr. Maya Gharfeh Pramila K. Daftary, M.D. 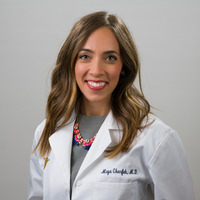 is pleased to welcome Maya Gharfeh, M.D., M.P.H. as she joins the clinic staff of Allergy and Asthma Care of Waco. Dr. Maya Gharfeh was raised in Columbus, Ohio and graduated from The Ohio State University in 2006 with her bachelor’s degree in Biology. She then attended medical school in Rootstown, Ohio at Northeastern Ohio Medical University. During her medical school training, Dr. Gharfeh also pursued a public health degree from The Ohio State University with a specialty in health behavior and health promotion. She graduated from medical school and her master’s program in 2011 and moved back to Columbus, Ohio for her pediatric internship, residency and chief residency training at Nationwide Children’s Hospital/The Ohio State University. She then completed her fellowship training in Allergy and Immunology at Texas Children’s Hospital/Baylor College of Medicine in Houston, Texas. Dr. Gharfeh treats both children and adults with asthma and allergic conditions. Her particular areas of expertise include atopic dermatitis, asthma, food allergy and delayed hypersensitivity. She also is a patient advocate and is passionate about educating her patients and the community on important topics in allergy and asthma. In her free time, you will find Dr. Gharfeh spending as much as time as possible with her husband and their two year old daughter. The Gharfeh’s are very eager to call Waco, Texas their new home town. Dr. Daftary and Dr. Gharfeh expect to make a great partnership that will further enhance Allergy and Asthma Care of Waco’s ability to care for the allergy needs of Central Texas. Dr. Gharfeh is board certified in Pediatrics and board eligible in Allergy and Immunology. Leslie Muenzler Leslie Muenzler, RN, MSN, FNP-C Leslie is a Family Nurse Practitioner. She grew up in West, TX and is glad to continue her career serving our Central Texas community. 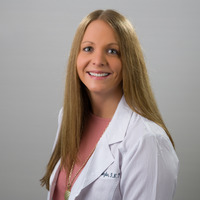 She joined Allergy & Asthma Care of Waco in 2014 after obtaining her Masters in Nursing, specializing in Family Nurse Practitioner from Angelo State University. She is board certified by the American Association of Nurse Practitioners and the Texas Board of Nurses. She previously was a Registered Nurse in the Emergency Department for 5+ years while completing her advanced education. She enjoys spending time with her husband, Edward, and two lovable dogs. Dr. Pramila Daftary Pramila K. Daftary, M.D is board-certified in Allergy, Immunology, and Pediatrics. She obtained her MBBS degree from Nagpur Medical College and completed her residency from Sir Harkisandas Hospital in Bombay, India, and Mt Sinai Hospital, Chicago, Illinois. Dr. Daftary has been in practice for 28+ years in Waco, Texas. She is a fellowship member of American Board of Certified Allergists, American Academy of Allergy and Clinical Immunology, and American College of Allergy. Dr. Daftary has been in medical research for 12 years. 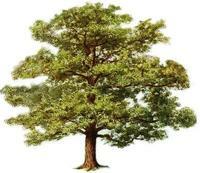 Allergy & Asthma Care of Waco is a member of the American Academy of Allergy, Asthma and Immunology, which is the largest professional medical specialty organization representing allergists, clinical immunologists, allied health professionals and other physicians with a special interest in allergy. The AAAAI champions programs like the National Allergy Bureau™ to share valuable information about allergies and asthma. Education is key to improved treatment for those suffering from allergies and asthma. Cheryl Jenkins I have been an LVN for 19 years and a Research Coordinator for 18 years. I have been an employee with Allergy & Asthma Care of Waco for 18 years. I am a certified Pollen/Mold counter. I have lived in Waco all my life, am married and have two daughters, three grandchildren and one great-grandson. 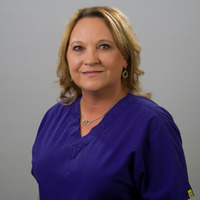 Josie Terry LVN: I have been an LVN for 19 years and have worked for Allergy & Asthma Care of Waco for 12 years. I’ve lived in Waco all my life and I have two boys and two grandkids. Cindy Bellringer LVN: Worked for Dr. Daftary for 28 years, I am the injection nurse and am a Certified Pollen Counter. I attended McLennan County Community College where I received my LVN certification. I lived in Waco all my life; I have two daughters, eight grandkids, and two great-grandkids. Lori Adams I have been employed Allergy & Asthma Care of Waco for 2 years and have 12 ½ years experience in Medical Billing, with extensive knowledge in several health insurance carriers such as S&W, Cigna, Firstcare, etc. I have obtained an Associate of Applied Arts Degree in Micro –Computer Technologies and Business Application Development from Temple College. I am married and have three daughters and one son. Anita Thikade I moved to Waco in 2007, since then I have been working for Allergy and Asthma Care of Waco. I have a BA in Pharmacy from India. I am a Research Coordinator and also handle major insurances like BCBS, UHC, & Aetna. I have been married for 17 years and have a teenage son.